Here is a picture of Longstation station in the early 1900s. This was of course the main station for Willingham and included sidings for goods wagons. The station master’s house (shown here) can still be seen where the new guided busway crosses the B1050. 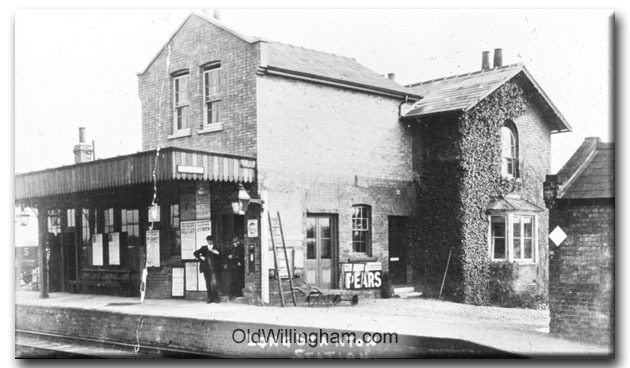 The line was opened in 1847 and led to expansion of Willingham and especially local horticulture. Parts of the line gradually closed down in the 1960s as road haulage grew and the last train service to Cambridge ran in 1970. In its heyday the line was used as a diversion when the main line was blocked and even the Flying Scotsman came through on occasion.